In March, Novomics, one of the few well-known domestic biotechs, was named in the world famous medical journal, The Lancet Oncology. Novomics is the first-in-class to develop a diagnostic method to predict postoperative prognosis and the suitability of anticancer drugs of gastric cancer patient. 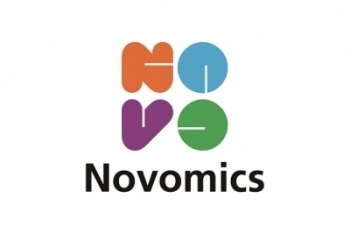 In 2010, Novomics began as a start-up company for teachers at Yonsei University Medical Center. Professor Huh Yongmin (Department of Radiology), who studied at Yonsei University Medical Center and MDI Center for Cancer Research, USA, founded this company. Oncotype DX has been used in breast cancer for the prediction of prognosis in the US market. Novomics chose stomach cancer, which is common in East Asia. The nProfiler 1 Stomach Cancer Assay (nProfiler 1), completed after 8 years of research and development, measures the amount of gene expression in the tissues of patients undergoing stomach cancer resection. This molecular diagnostic kit provides information on the patient’s prognosis information and survival benefit, based on the biological characteristics. nProfiler 1 provides information on postoperative prognosis and the suitability of anticancer drugs based on gene information generated by measuring gene expression levels through mRNA extracted from the tumor tissues of gastric cancer patients. nProfiler 1 analyzes the genetic information data generated by qPCR (quantitative PCR) through a software program, and predicts the prognosis of the patient, classifying it into three groups of low-risk, medium-risk, and high-risk, to predict the therapeutic benefit of anticancer drugs. Novomics used a clinical sample of 625 CLASSIC Trial participants to analyze genotypes, and classify the at-risk group. As a result, 79 (13 %) of the low-risk group, 296 (47 %) of the moderate-risk group, and 250 (45 %) of the high-risk group were classified, and the 5-year survival rates were (83.2, 74.8, and 66) %, respectively. In eligibility test to anticancer agent, 281 (45 %) were classified as compliant, and 344 (55 %) as noncompliant group. Among the patients classified as chemotherapy-eligible group, the 5-year survival rate was 80 % for patients who received chemotherapy, and 64.5 % for patients who had only surgery. On the other hand, when analyzed by nProfiler 1, the 5-year survival rate was similar, regardless of whether standard chemotherapy was applied or not. nProfiler 1 received approval from the Food and Drug Administration in November last year as a third grade medical device item, as a “prognostic test after surgery for patients 2 and 3 in gastric cancer”. In addition to domestic commercialization, Novomics is seeking to expand into overseas markets for Chinese and Asian countries with high rates of gastric cancer. In the case of China, it has concluded an MOU with a university hospital in China, and is carrying out co-experimental research. In the second half of the year, the company plans to sign a contract to provide Novomics service to this hospital for gastric cancer treatment. In addition, the company is conducting co-research and clinical trials with related research teams of Peking University and others, and conducting various research activities to be recognized in the Chinese market. 노보믹스 "위암 수술후 예후·항암제 적합성 예측법 개발"